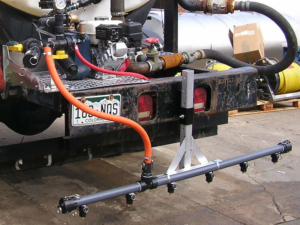 Not finding what you’re looking for with our standard ice sprayers? No problem! Give us a call and we can design a system specifically for you. 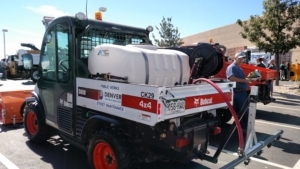 We’ve been building industry-leading ice control sprayers for over 10 years, and can customize our systems to fit most vehicles (Both large and small). 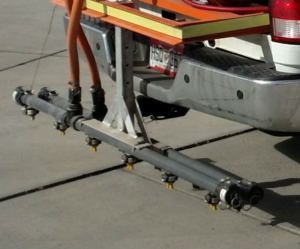 Below are some examples of the customization work we’ve done for the City of Denver and DIA. Double boom- two complete booms- one with fan heads and the other with stream -type heads. This design allows for a simple change between when needed.